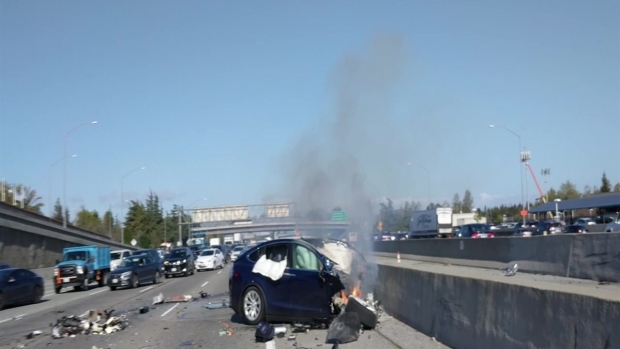 An accident caused a Tesla to catch fire Friday morning, closing all four lanes of southbound U.S. Highway 101 in Mountain View and causing significant delays during the morning rush hour. 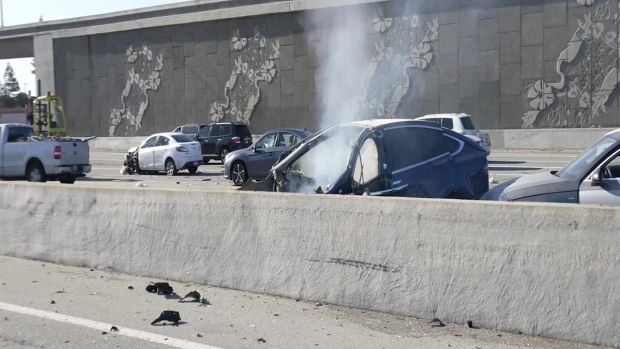 According to the California Highway Patrol, a blue Tesla Model X was driving southbound on US-101 and state Highway 85 junction at freeway speeds when the driver lost control and ran into a median barrier causing the car caught fire. 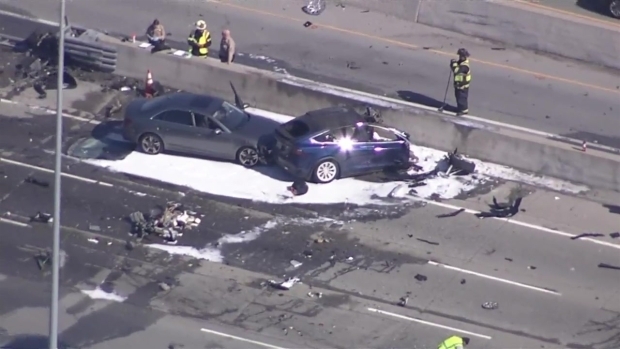 The Tesla was then hit by a white Mazda as it landed on a lane and then hit by a gray Audi in the next lane. A total of three vehicles were involved. 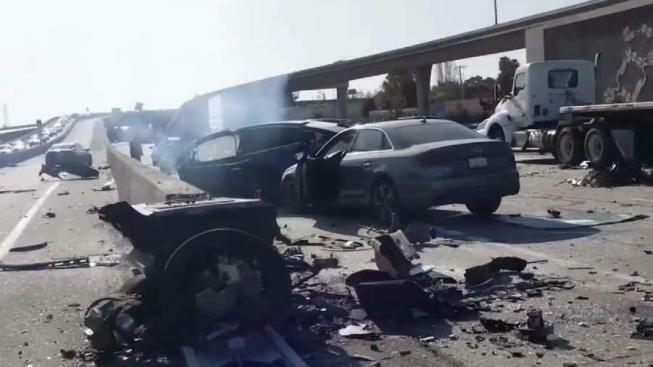 The driver of the Tesla, the driver, who was identified by the Santa Clara County medical examiner's office as Wei Huang, 38, was taken to Stanford Stanford University Medical Center where he succumbed to his injuries. No other injuries were reported. Images from the scene showed the front of the Tesla completely destroyed as firefighters tried to get the fire out. A Good Samaritan who was riding his motorcycle down Highway 101 shared what he saw at the scene of crash exclusively to NBC Bay Area after heading over to help. The Good Samaritan has asked that his identity be kept anonymous. The Good Samaritan said he checked to see if the man had a pulse and shortly after determining the man was alive he noticed the Tesla wasn’t just smoking, but "actively emitting full flames from the battery bank."